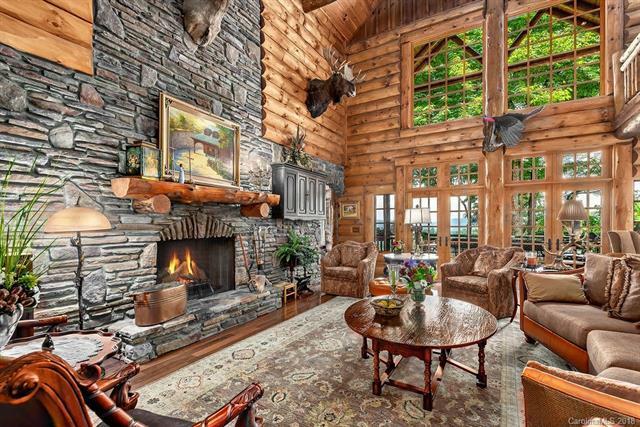 The Ultimate in Mountain Living is found with a majestic Lodge inspired estate that graces us with a soul inspiring setting. Thoughtfully designed and meticulously crafted, the quality and style are undeniable and it creates an unrivaled gated retreat on over 11 acres. The home includes 4 bedrooms, 5 full baths, 1 half bath, attached 3 car garage. A grand entry, incredible living area with floor to ceiling windows and chef's kitchen are just a sampling of the attentive and deliberate floor plan. Grand main level master wing with private retreat on the side porch. 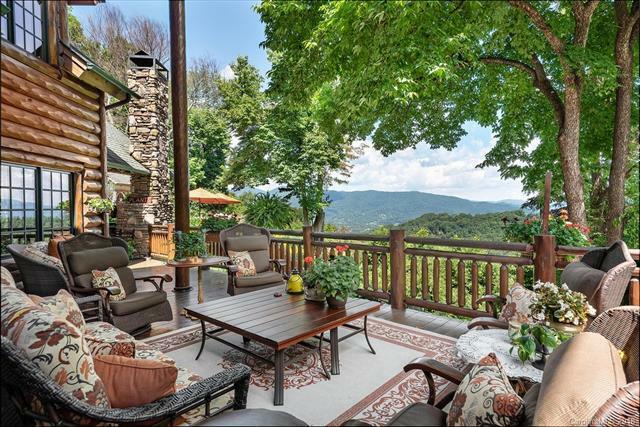 This is an enviable oasis seldom found in Western North Carolina, offering a tremendous wine cellar, salt pool, pool house, outdoor kitchen and a fireplace. Extensive water features, greenhouse, gardens. 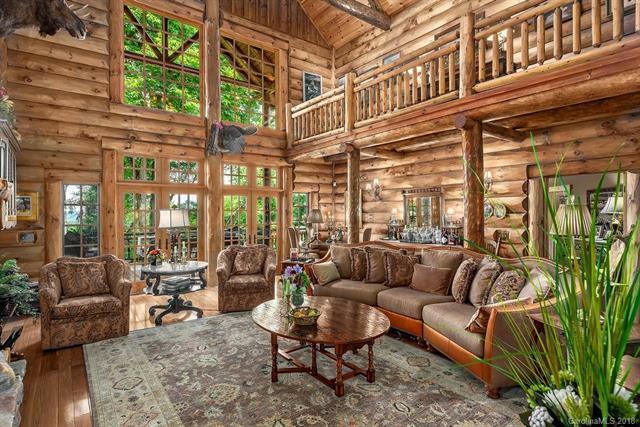 An exceptional barn with multiple stalls, tack room, office, dining and tremendous loft area. Additional Acreage available for purchase and the furnishings of the home can be purchased as well! The data relating to real estate on this Web site derive in part from the Carolina Multiple Listing Services, Inc. IDX program. Brokers make an effort to deliver accurate information, but buyers should independently verify any information on which they will rely in a transaction. All properties are subject to prior sale, change or withdrawal. Neither Besecker Homes Team | Keller Williams Realty nor any listing broker shall be responsible for any typographical errors, misinformation, or misprints, and they shall be held totally harmless from any damages arising from reliance upon this data. This data is provided exclusively for consumers' personal, non-commercial use and may not be used for any purpose other than to identify prospective properties they may be interested in purchasing. © 2019 Carolina Multiple Listing Services, Inc. Data last updated 2019-04-24T06:59:36.21.